Approach Azimuth Guidance. 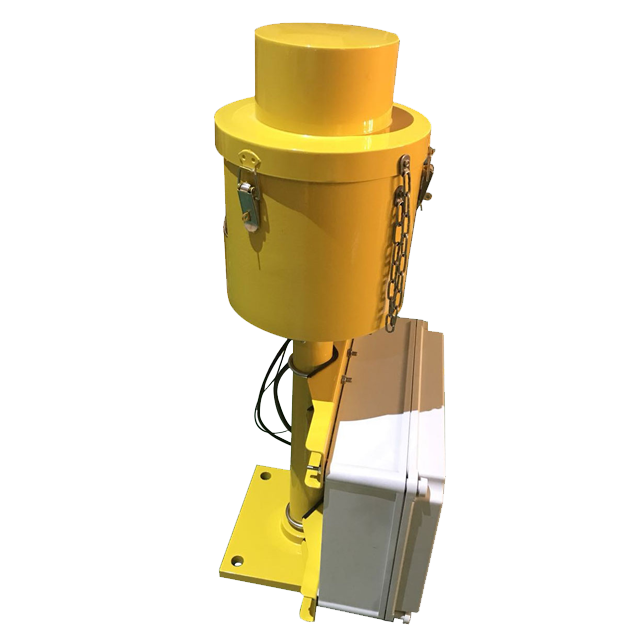 The SAGA (System of Azimuth Guidance for Approach) provides a combined signal of approach azimuth guidance and threshold identification. 1. The System of Azimuth Guidance for Approach will comply with ICAO recommendations Annex 14, Volume I paragraph 5.3.4 and French STAC. 3. 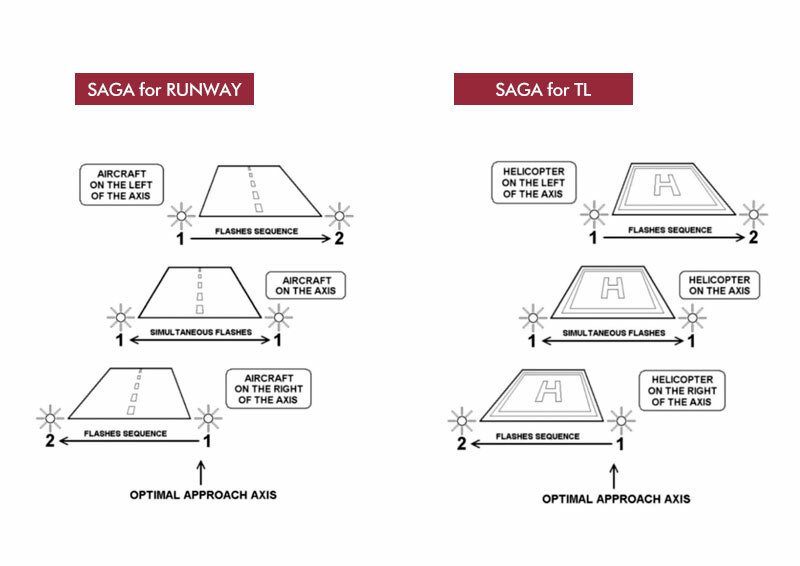 Depending of his position on the approach axis, the pilot will receive visual information of two "Flashes” supplied by the two “flashing” units of the SAGA. 4. If the pilot is on the axis +/- 0.45°, the two “Flashes”are simultaneous. 5. If the pilot is not on the axis within an angle comprise between -30 and +30°, The two “Flashes”will be see delayed of a time between 60 and 330 ms (the further the aircraft is from the axis, the greater the delay). The delay between the two“flashes” produces a sequence effect which shows the direction of the axis. 6. The SAGA system will be powered in 110Vac-230Vac 50/60 Hz. It will be equipped with12 Vac 105 W pre-focused reflector lamps. 7. It will be remotely controlled in 48Vdc. 8. Monitoring will be possible through 2 dedicated dry contacts. 9. 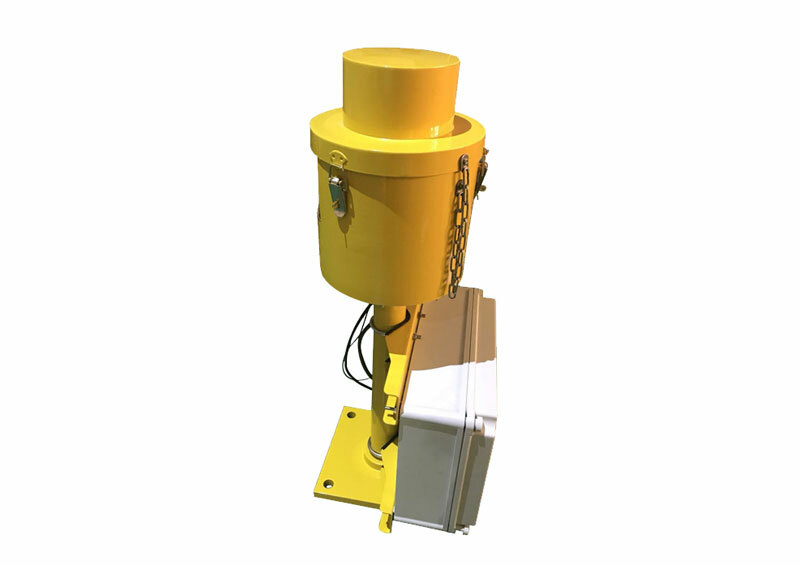 The SAGA system will be available with heating resistors for cold and/or wet areas. 10. The system will be automatically put out of service if at least one of its two “Flashing”Units becomes defective.